others who have taken an interest in TT. topics. We think you’ll enjoy hearing from them. present interesting use cases to help our customers best leverage our platform. you might find us offering an analysis or opinion here. 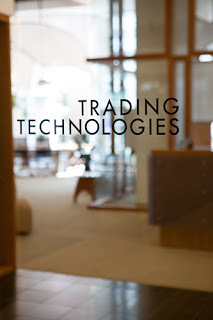 our X_TRADER® order-entry platform and related software. customers tell us ADL is the most exciting product to hit the market in years. We plan to present some of their stories here as we tell you more about ADL. markets from a single X_TRADER workstation with the simple click of a mouse. diversification, we’re confident our clients will quickly embrace MultiBroker. MultiBroker become a popular topic. award is quite meaningful to us because it comes from the traders themselves. We are very grateful for the recognition. As you read Trade Talk, bear in mind that we’d like to hear from our readers.